Here at Halethorpe Community Church, we have a very rich history of Missions involvement. As a church we sponsor over 40 Missionaries in the United States and around the world, Halethorpe is very proud of our Missions history and make it a priority in our church. Each year in the Fall we host an Annual Missions Conference where some of our missionaries come and share about what God is doing in their lives and around the world. 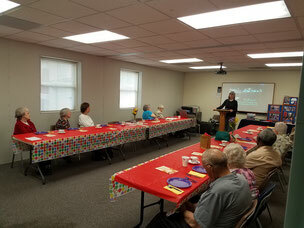 We also engage with missionaries through monthly Fellowship Luncheons, Bible Studies, and other special events throughout the year. Stay tuned to this page for more information and upcoming dates for our Missionary Fellowship Luncheon events in 2019! Stay tuned for more information about our 2019 Missions Conference including speaker announcements and other special events happening throughout the year!